There is not much difference between communism and Leninism. Each one of them is related to another that makes it hard to make a difference between the two. Communism can be described as socialism that has the motto ‘ from each, according to his ability, to each according to his need.’ Communism can also be termed as socialism that looks forward for abolishing private ownership and that strives for a classless society. Leninism can be termed as the socialist economic and political theories of Vladimir Ilyich Lenin. Leninism has been derived from communism. Communism was developed as a theory after the Bolshevik revolution in 1917. It was Karl Marx and Friedrich Engels who popularized communism in their book Communist Manifesto. Leninism evolved soon after the October Revolution in 1917 in Russia. It was in 1922 that Leninism got much popular. A milestone in the spread of leninism was the fifth congress of the Communist International in 1924. It was in this conference that the term leninism was popularised as a marxist ideology. Communism stressed on economic revolution, which it thought could bring in a change in the political system. Leninism stressed on political revolution, which it thought could bring in a change in the economic system. The theory of communism says that capitalism would die of its own. It said that the proletariat would overthrow the bourgeoisie. On the other hand, the theory of Leninism says that capitalism has to be destroyed. 2. Leninism has been derived from communism. Leninism can be termed as the socialist economic and political theories of Vladimir Ilyich Lenin. 3. Communism was developed as a theory after the Bolshevik revolution in 1917. Leninism evolved soon after the October Revolution in 1917 in Russia. 4. It was Karl Marx and Friedrich Engels who popularized communism in their book Communist Manifesto. 5. It was in 1922 that Leninism got much popular. A milestone in the spread of leninism was the fifth congress of the Communist International in 1924. 6. The theory of communism says that capitalism would die of its own. Leninism says that capitalism has to be destroyed. 7. Communism stressed on economic revolution, which it thought could bring in a change in the political system. Leninism stressed on political revolution, which it thought could bring in a change in the economic system. Prabhat S. "Difference Between Communism and Leninism." DifferenceBetween.net. 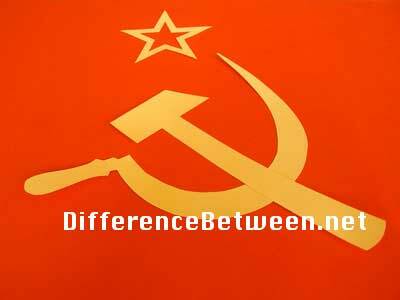 October 25, 2017 < http://www.differencebetween.net/miscellaneous/politics/difference-between-communism-and-leninism/ >. Not all communisms are Leninst. For example Nestor Makhno was Communist and Anti-Leninst in same time (same as many other Anarcho-communists). I was interested, until you said that communism is a type of socialism…No knowledgeable person would ever say that they are the same.